Leaders of the Centre for Israel and Jewish Affairs (CIJA) and B’nai Brith Canada drew on the Jewish community’s experience with fighting antisemitism in their recommendations on how to maximize the motion’s efficacy. In his testimony, CIJA chief executive officer Shimon Koffler Fogel pointed to statistics that showed Jews are the most targeted religious minority in the country. 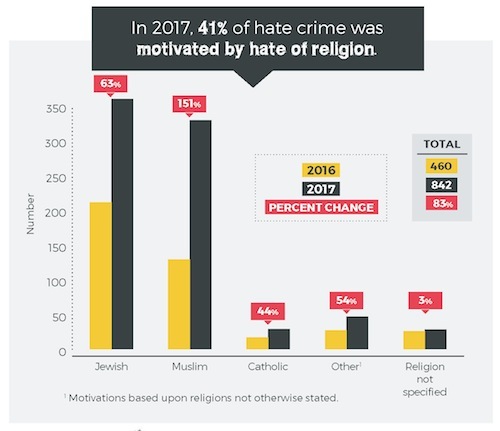 Among Fogel’s recommendations was that the committee work to improve on the collection and publication of hate crime data, as it currently varies widely by police department. He added that there are cities, such as Montreal, that don’t release data about which identifiable groups are being targeted, leaving policymakers with incomplete information. 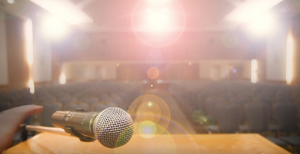 Fogel used the Islamic Heritage Month Guidebook, which was issued by the Toronto District School Board earlier this month and contains a definition of Islamophobia that includes “dislike toward Islamic politics or culture,” as an example. “Muslims can be protected from hate without restricting critique of Islamist political ideologies,” Fogel said. Fogel also recommended that greater and more consistent enforcement of existing laws is needed. “Recently, the attorney general of Quebec decided not to lay charges in a case of an imam in Montreal who had called for the murder of Jews. Quebec’s attorney general also declined to pursue a second charge of genocide promotion. This decision sent a message that someone can call for the death of an entire group of people without consequence,” he said, adding that the federal government should train police and prosecutors to better enforce the existing Criminal Code hate speech provisions and provide resources for the development of more local hate crime units. In his testimony, David Matas, B’nai Brith Canada’s senior legal counsel, argued that some fear of radical Islam is rational. In his remarks, Fogel also referred to the passing of Bill C-305 – a private member’s bill that would expand penalties for hate crimes against schools and community centres associated with identifiable groups – which had its third reading on Oct. 18. We do not need to delineate the full roster of antisemitic incidents that have made the news recently. Toppled headstones, bomb threats against Jewish institutions, spray-painted swastikas, defaced mezuzot, hate messages left on doors, physical assaults in France. On the one hand, there is a necessity to catalogue and condemn each and every incident – and police and Jewish community organizations are doing this. On the other hand, for the sake of our own individual and collective sense of security and peace of mind, we must try to assimilate these incidents into some sort of coherent narrative that, hopefully, does not lead to panic. For the sort of individual who would desecrate a cemetery after dark, there could be a perverse thrill in making global news for what may have been little more than a drunken act on a Saturday night. The fact is that these acts – in North America certainly – are perpetrated by a tiny number of individuals. A somewhat larger number of dedicated antisemites will take cruel pleasure in the grief and fear these acts instil in Jewish communities and individuals. The most important thing is how the great majority of people react to such incidents. It is deeply heartening to see Muslim communities uniting with Jewish communities to make right as many of the toppled gravestones as possible in St. Louis and Philadelphia. This is a model of unity in the face of hatred. It is also necessary for the broader public – those neither Jewish nor Muslim or having membership in other targeted groups – to express their outrage and opposition to such expressions. The situations in which Jewish and Muslim Americans find themselves are different. Muslims are being specifically targeted not only by racist individuals and groups, but by agencies of the state. This is a particularly frightening scenario. Jews are being targeted by apparently random acts of desecration and hatred. This is frightening in a somewhat different way, in that government actions, ideally, are subject to the checks and balances set out in the U.S. Constitution and we hope that those safeguards survive and thrive in this era. Imagine deplaning after a domestic flight in the United States and being met by security officials demanding to know “Are you a Jew?” This is an immensely chilling prospect. And this is precisely what some Muslim travelers have experienced in recent days: officials of the state demanding identification papers and inquiring as to whether travelers are Muslim. Additionally alarming is the fact that many people would probably never have heard about these incidents had one of those who experienced it not been Muhammad Ali Jr. Thank goodness, at least in this context, for America’s celebrity culture. While there have been innumerable antisemitic incidents in recent years, those who are not immersed in such news are often only dimly aware of the frequency and increasing severity of these events. When a Jewish friend posts news of a new attack on social media, you will thankfully see condemnation from Jewish and non-Jewish friends alike. But you are as likely to see shock and disbelief. More important than what Martin Luther King Jr. called the strident clamour of the bad people, in times like these, is the appalling silence of the good people. Part of this is caused by the refraction of media and the isolated silos of information in which we have surrounded ourselves, so that we do not encounter ideas or news from outside our respective bubbles. There are many people who simply do not yet know the extent of anti-Jewish and anti-Muslim incidents taking place. Those who do know are elected officials in positions of power. It is heartening to see Canadian leaders and many in the United States Congress expressing solidarity with the victims and condemning the perpetrators. U.S. Vice-President Mike Pence has been at the frontline of showing solidarity with targeted Jewish communities, at least. Getting appropriate remarks out of President Donald Trump has been troublingly difficult. We may not be able to pre-empt the actions of individuals who are driven to topple gravestones or call in bomb threats. But the finest antidote to such incidents is for ordinary people to come together in condemning these acts and speaking out in favour of the values of respect and inclusiveness. As a targeted community, Jewish Canadians and Americans have a unique role in both making others aware of what is happening and showing our Muslim friends and fellow citizens that we stand with them, as they are standing with us in communities where desecrations have taken place. Acknowledging – and demonstrating – that we are all in this together is our best hope for thriving in these times.